This information is intended to help you understand how Sam Folds Inc., Real Estate, collects, uses and safeguards the information you, the visitor provide on our Website. We collect anonymous data, including Internet addresses, time of visits and viewed. We use this information to monitor and improve the performance of the site. We are committed to responsible data management and subscribe to the principals of the data protection legislation in the State of Florida. If you desire, you may provide personal information utilizing the online contact forms and email addresses on the Sam Folds Inc., Real Estate site. Your personal information is used only in a manner to conduct business and communicate with you. If you agree with the opportunity to be contacted by Sam Folds Inc., Real Estate, by personal email, telephone, Fax, US mail or email newsletter – you can revoke that acceptance at any time by contacting us as specified below. Name, US postal address, email address, social security number, date of birth and telephone number. Information received from online applications, online forms and in other communications to us, whether in writing, in person, by telephone or by any other means. Information from your transactions with us. All of your personal information is private and confidential. We do not sell, lease or give out Sam Folds Inc., Real Estate or Website visitor personal information. We may utilize a technology that collects cookies. A cookie is an element of data that the Website sends to your browser that is then stored on your system as part of our normal business procedure to track behavioral patterns of visitors/users to the Website. Consequently, collected information is tied to the visitors/users’s personally identifiable information to provide offers and improve the content of the site. This profile is used to tailor visitors/users – visits to our Website and to direct pertinent information to them. We do not share profile information to outside parties. You can set your browser preferences to block, allow or prompt for cookies. We DO NOT sell, lease or give away any aggregate non-personably identifiable data or personal information about our visitors/users with or to any outside parties, companies or individuals. We may disclose your personal information if required to do so by law or in the good-faith belief that such action is necessary to: (a) conform to the edicts of the law or adhere with legal process served on Sam Folds Inc., Real Estate or any of its Websites; (b) protect and defend the legal rights or property of Sam Folds Inc., Real Estate or (c) act in such a manner as to protect the personal safety of the employees of Sam Folds Inc., Real Estate and other visitors/users of the Website. Personal information provided by visitors/users 13 years of age or older may be used for marketing and informational purposes only by Sam Folds Inc., Real Estate and its subsidiaries and affiliates. Sam Folds Inc., Real Estate does not lease, sell or give personal information entered on this site. Sam Folds Inc., Real Estate utilizes all reasonable efforts to safeguard the confidentiality of your information, Sam Folds Inc., Real Estate assumes no liability for disclosure of any information obtained due to errors in transmission or the unauthorized acts of outside parties. Protecting the privacy of children is very important to us. Our Website(s) are not designed to attract individuals under the age of 18. In accordance with the Children’s Online Privacy Protection Act (16 CFR Part 312), we do not collect or store any personal information, even in aggregate, about children under the age of 13. Any information from a child under the age of 13 we discover having received in violation of this policy, we will delete that information immediately. If you believe that Sam Folds Inc., Real Estate has any information from or about anyone under the age of 13, please contact us at contact information below. Our Website may contain links to other Websites that are controlled and maintained by other intities. Sam Folds Inc., Real Estate assumes no responsibility for the content or practices of linked Websites. 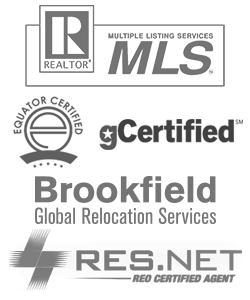 Linking does not suggest nor imply any affiliation or endorsement by Sam Folds Inc., Real Estate of the linked Website. We encourage our visitors/users to be aware when they leave our site and to read the privacy statements of every Website that collects personally identifiable information. This privacy statement applies solely to information collected by this Website. Sam Folds Inc., Real Estate visitors/users are given the opportunity to opt out of having their personal information used for marketing and information communications. Visitors/users can change or opt-out on how they are contacted at any time by making a request to the contact information point below. We follow industry standards and practices to safeguard all of the information collected, both anonymous and personal. If visitors/userss have any questions or comments with regards to the security at our Website, visitors/user can contact us at the points below. This Website and its content (including without limitation the Website design, text, graphics and all software and source codes connected with the Website and the Services) are protected by United States copyright, trademarks, patents and other intellectual property rights and laws. As a visitor/visitors/users of this Website you agree that you will access the contents solely for your personal, non-commercial use. None of the content may be downloaded, copied, reproduced, transmitted, stored, sold or distributed without the prior written consent of the copyright holder. This excludes the downloading, copying and/or printing of pages of the Website for personal, non-commercial home use only. Sam Folds Inc., Real Estate does not claim ownership of any content or materials you post, upload or submit to any publicly accessible area of the Website. However, by doing so you are granting Sam Folds Inc., Real Estate a world-wide, royalty free, non-exclusive license to copy, distribute, transmit, reproduce, publicly display, edit, translate or publish such Content for as long as you elect to display such Content via the Website. The license shall be terminated when such Content is deleted from the Website. These Privacy Policies – Terms and Conditions shall be governed by and construed in accordance with the law of the state of Florida and you hereby submit to the exclusive jurisdiction of the State of Florida courts. Please use this contact information only for Privacy Policies – Terms and Conditions matters. For all other inquiries, refer to the Contact Us section of our home page. This document was last revised on April 26, 2016. Founder of Sam Folds, Inc. Realtors®, Sam has been in the real estate business for over 40 years in the "River City". A native of Jacksonville, Sam is also active in many support organizations locally. © [wpsos_year] Sam Folds Inc., all rights reserved | Equal Housing Opportunity. All information deemed reliable but not guaranteed.